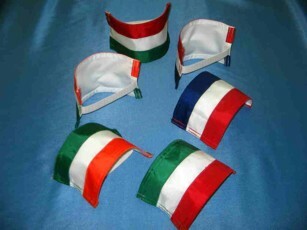 or with stripes in any PMS Pantone color combination. 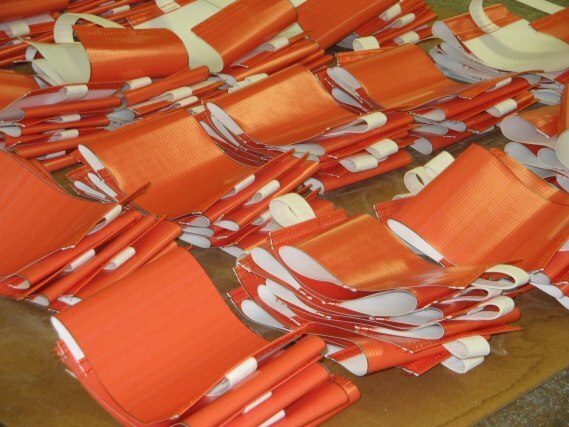 4"- 5"- 6" x 84"
4"- 5"- 6" x 72"
.Pricing is determined by quantity and which options apply. 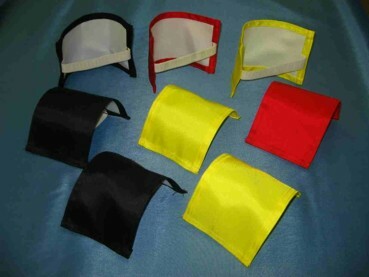 Fringe may be added to sashes but not to armbands. 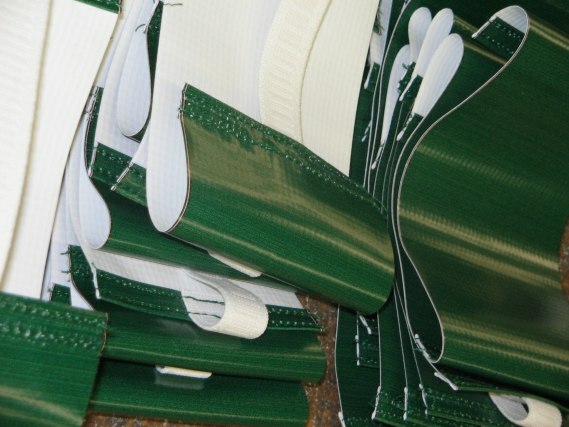 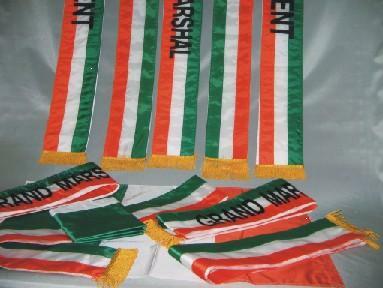 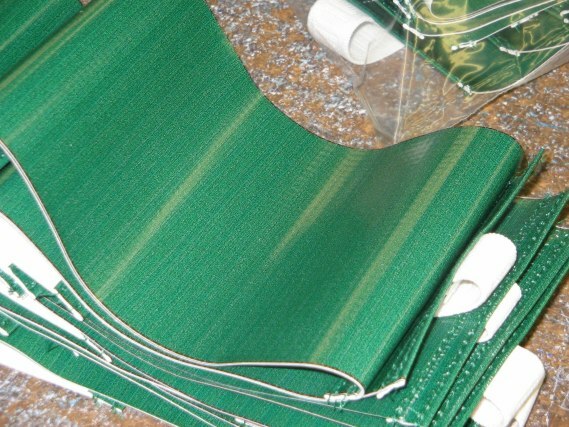 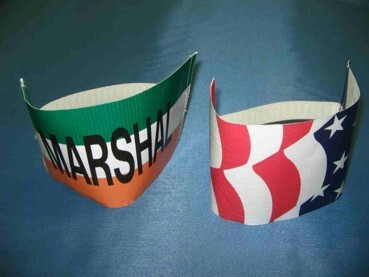 Sashes may be printed with different stripe combinations from solid color to multiple stripes. 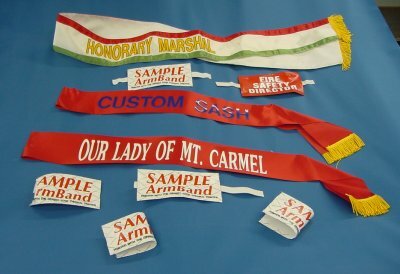 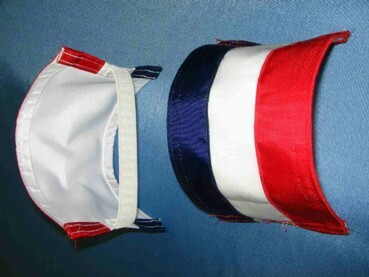 Sashes are available in different widths.